What's the difference between SAP® Master Data Governance and SAP NetWeaver™ Master Data Management? One of the key differences, and I’m being very transparent here, is that SAP® NetWeaver™ Master Data Management is no longer going to be supported by SAP in the future. Everything is moving over to SAP Master Data Governance. 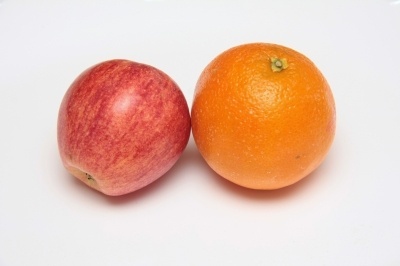 From an apples to apples comparison of what is available to do in there the SAP NetWeaver Master Data Management platform is primarily used for you to start from scratch, build out what’s going to be governed, and how it is going to be governed. From a Master Data Governance (MDG) perspective your customers, suppliers, materials, products, financials, and assets are now provided to you with the best practices for your industry to start to put in place the foundation. In turn allowing you to now integrate them into that what your key business rules are, workflows, and approval process that you currently need to follow for your practices. It really moves you ahead much further in the governance practices right out of the gate. One other thing about this is that MDG also allows you to do custom development for MDG objects as well just like SAP NetWeaver Master Data Management. If you have some one-offs that are not currently supported by one of the domains within the offerings it still allows you to do all of those same things that you would have done in SAP NetWeaver Master Data Management. We see a large number of organizations that are now upgrading to SAP Master Data Governance and they are leveraging what they put into practice as rules, workflows, and approval processes in SAP NetWeaver Master Data Management and applying them in SAP Master Data Governance. You are able to reuse those elements and put them into an upgraded package of SAP Master Data Governance. For further information on data governance please see our webinars page.